The Samsung Galaxy S10 could have a 100% borderless screen, reveals the beta release of the Android 9.0 Pie update on the Galaxy Note 9. The new Night Theme feature has an animated demonstration, which shows a smartphone with minimal to no bezels. We haven’t seen any such smartphone from Samsung so far. Therefore, it is safe to believe that the phone showcased in the demonstration video may very well be the Samsung Galaxy S10. 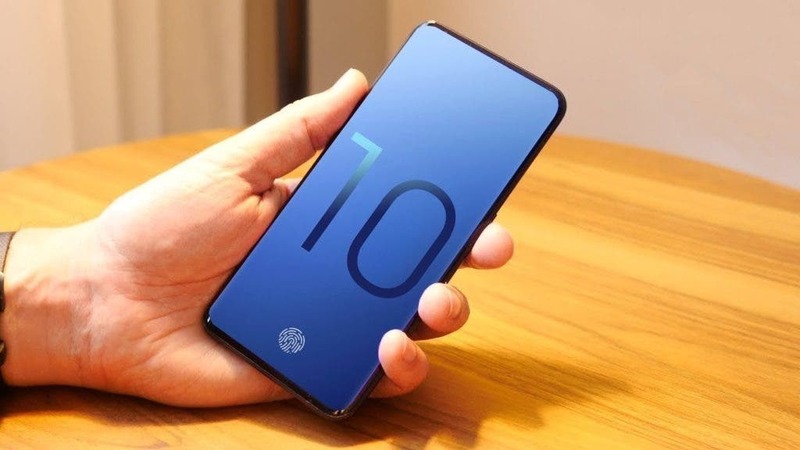 The leaker Ice Universe explains on his Twitter account that he is convinced that this image represents the Galaxy S10. The top edge, usually thicker to accommodate front-end sensors and speakers, is almost non-existent. Same story from Max Weinbach, a member of XDA Developpers. The man is convinced that Samsung is teasing the borderless design of the Galaxy S10 in the beta of Android Pie on the Galaxy Note 9. “If anyone thinks otherwise, I recall that the beta version of Nougat on the S7 showed the S8, and the beta version of Oreo on the S8 showed the S9, so it makes sense that the beta of S9 and Note 9 displays the S10.” says the user. As Max Weinbach reminds us, the image coincides with the latest leaks and intentions displayed by Samsung. The manufacturer has decided to bet on a design that is really borderless. The latest news, Samsung also decided to hide the selfie camera on the Galaxy S10 under the touch screen in a tiny hole. The icon found in Android 9.0 Pie contradicts this leak, there is indeed no hole in the slab. According to the latest rumors, the Galaxy S10 will be presented in February 2019, probably during the MWC of Barcelona. We will tell you more as soon as possible.